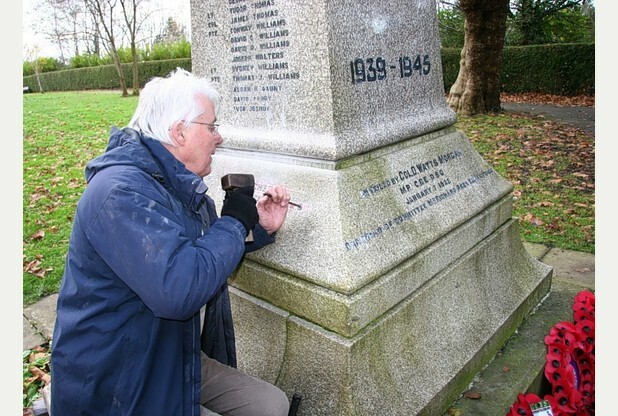 The names of two forgotten First World War heroes’ have been added to the war memorial at Primrose Park in Llansamlet. When it was first built through public subscriptions in January 1922 the monument contained the names of 74 casualties who lost their lives in the conflict. Mason Mike Isaac marks the names on the memorial.